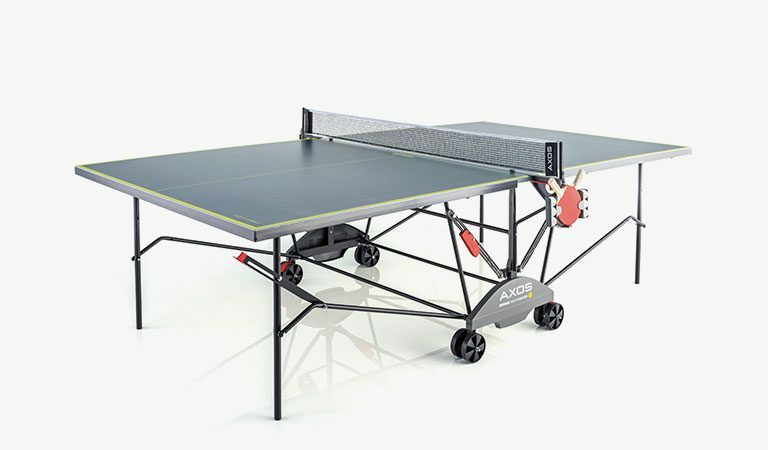 Practice your swing during cold or rainy months with indoor table tennis tables from Kettler. All of our table tennis tables can be folded for easy storage when you’re done playing. Perfect for year-round family fun. 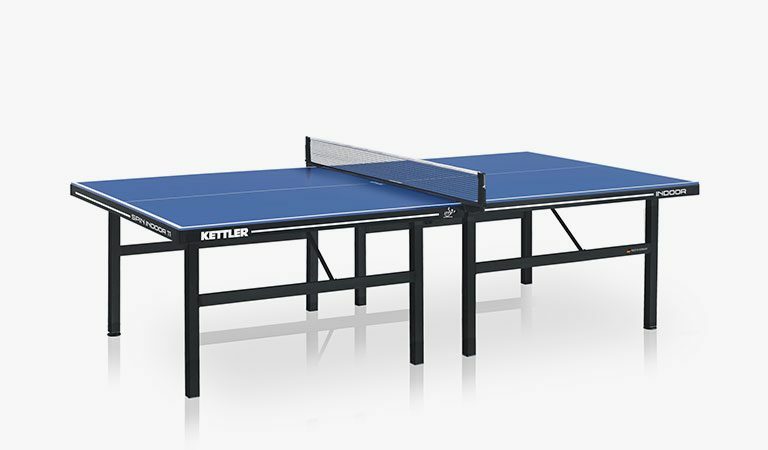 KETTLER’s tournament-sized, indoor table tennis tables offer an excellent level of play and are a great choice for the home, office, or club. Customers rank them some of the best indoor table tennis tables on the market. All our indoor tables are sturdy, well-finished and can be easily adjusted so everyone can enjoy a game or two of ping-pong. Challenge your friends and family to a game, or put the folding table tennis table into solo playback position for some practice, to get ready for your next match. Indoor tables are best when used in rooms with a constant temperature, such as a games room. 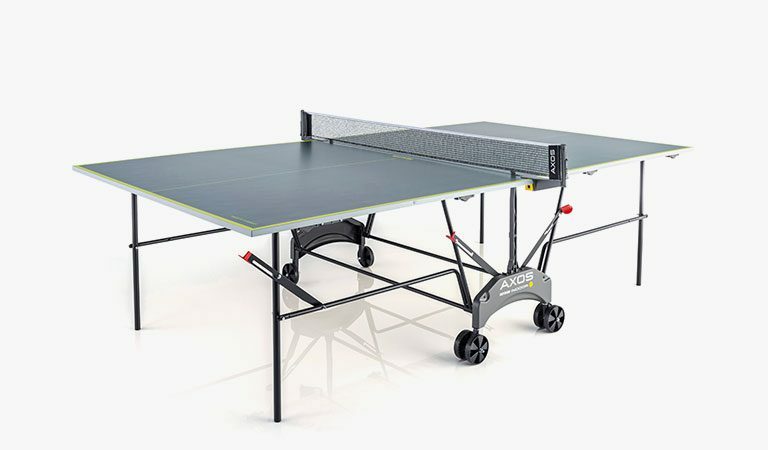 Don’t worry if space is an issue as our folding table tennis tables can easily be stored or brought out for game time. Indoor tables can be brought outside in nicer weather. Just make sure, they’re stored inside when you’re done. Each table comes complete with a high-quality net, bats and balls, and protective table tennis table covers are also available. We offer a three-year warranty on all of our indoor table tennis tables. Also see our great range of weatherproof, outdoor table tennis tables.